Includes FREE SHIPPING within the continental US, please contact us for Alaska, Hawaii and International orders. NY State sales tax applies only when buying from NY. The Babicz Identity Series "Spider" represents a breakthrough paradigm for the company. After introducing Jeff Babicz's innovative patented technology on the original Identity Series Dreadnaught and Jumbo models, we went to work developing a guitar that could replicate authentic acoustic tone and ambience in a sleek looking high performance instrument. The Spider was an instant hit with touring bands, as they found it to provide unmatched resonance and projection while maintaining a visually appealing look on stage. High profile artists like Todd Rundgren, Porcupine Tree, KK Downing, Umphree's McGhee, Chrissie Hynde and others immediately took to the Spider, resulting in numerous industry accolades and awards. In fact The Babicz Spider was inducted into the prestigious Museum of Making Music in Carlsbad, California, after only a few years on the market. The thinner body dimensions of The Spider lends itself well to electric guitar players while the fast neck allows for full access to all twenty frets. 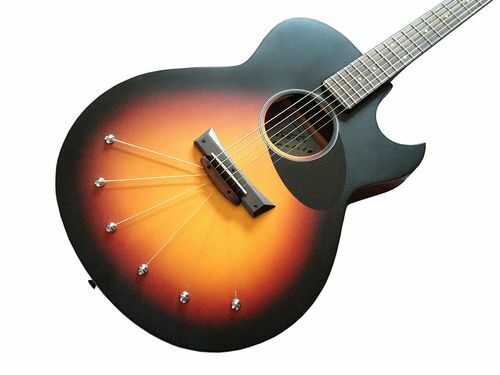 The Spider is a versatile guitar, covering a diverse range of styles. It has been a favorite of many rock guitarists as the incredibly low action simulates the feel of a well set-up electric guitar. There is virtually no loss of response up the fingerboard...notes ring strong and true, whether played as hard strumming chords or lighting fast leads. Includes the L.R. Baggs Element Stage Pro EQ! The L.R. 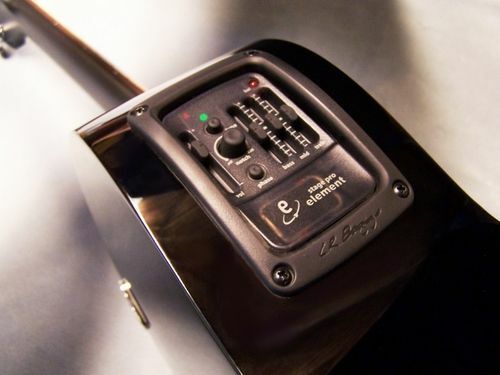 Baggs patented Element undersaddle pickup is proudly used on the Babicz SPIDER model as an onboard system. As a side-mounted preamp/EQ, the Element Stage Pro features: volume, treble, midrange, bass, notch filter and phase inversion controls with tuner. 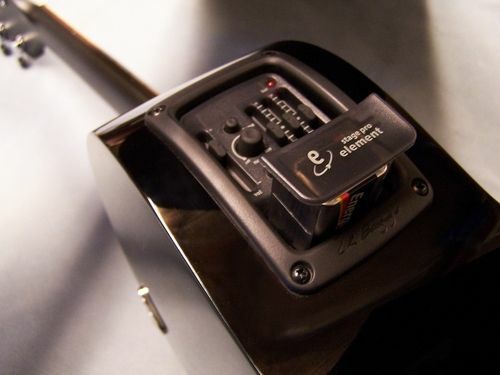 The Element boasts impressive body sensitivity and articulation, and has the most dynamic range of any undersaddle pickup. The preamp's all-discrete circuitry is based on the L.R. Baggs award-winning Para D.I., and is specially voiced for the Element.